A unique representation of the world map in wall panel design. Bring a touch of color into your home with this decorative printed canvas. The dimensions of this Wall word canvas in several panels are 40 x 80 cm per frame. 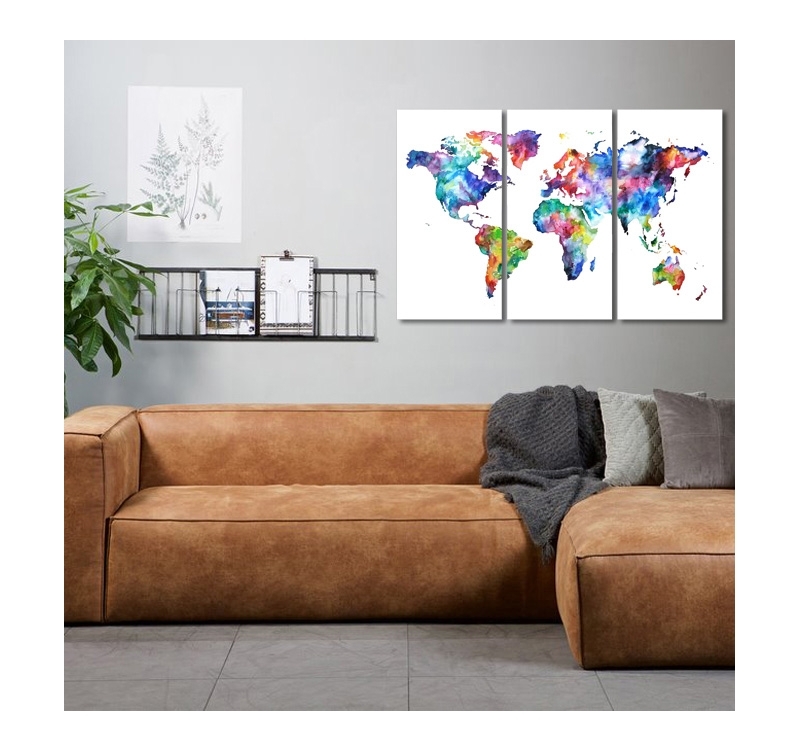 Delivery around the world for this modern wall decoration. 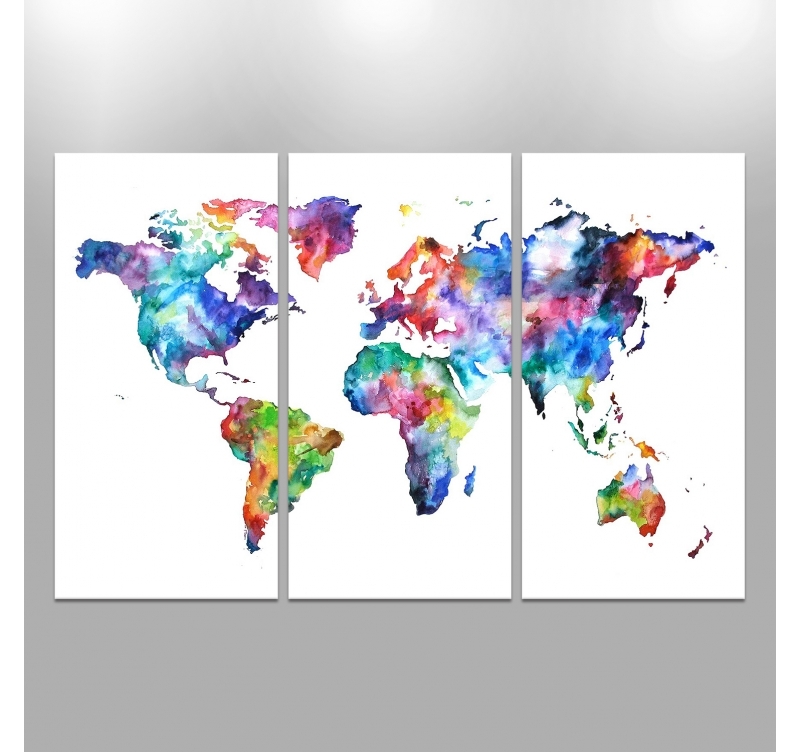 Our collection of world map design frames is expanding and we offer here a canvas in several panels. On a white background, the different countries and continents stand out wonderfully with these vivid colors that define the world as it is today. This contemporary canvas is done in a watercolor style with depth effects that will allow you to catch the eye of your guests in an instant. 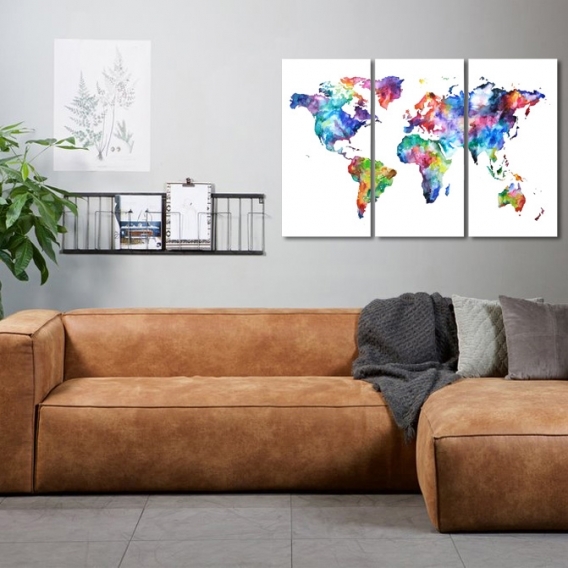 If you have a large wall to decorate, this contemporary decoration will be the piece you need with three panels that will perfectly adorn your room. All of our designer print fabrics in this category are printed on stretch cotton canvas on a Canadian pine wood frame. This deco map of the world is delivered in packaging with cardboard corners as well as hanging hooks. 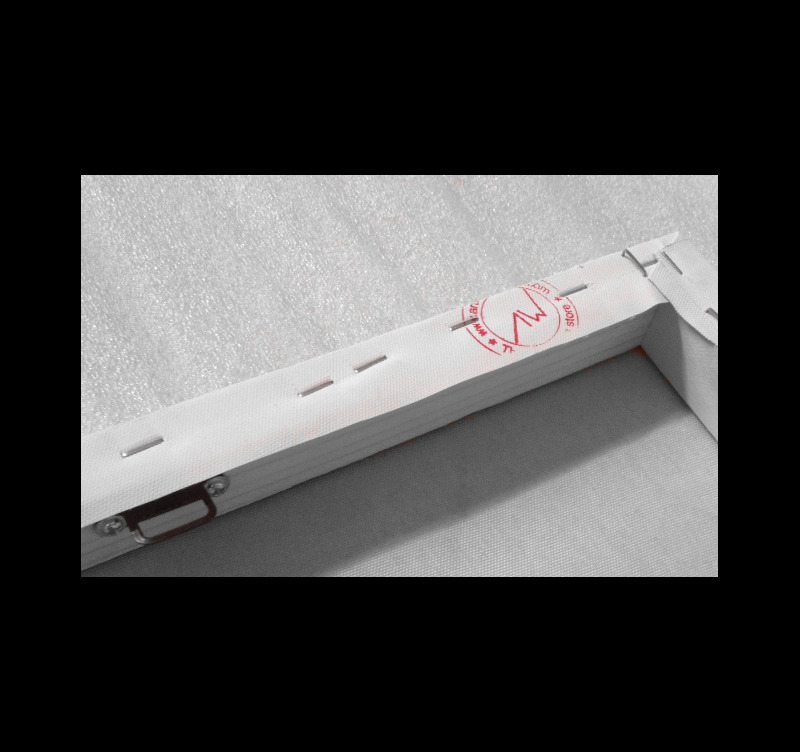 All the traveling wall decals are treated to guarantee a high quality rendering and lifetime.